Mayday Parade’s 2017 is already shaping to be a full one for the band. On Monday (Dec. 5), the Florida-founded band announced plans to hit the road in early 2017 to celebrate the ten-year anniversary of their debut studio album, A Lesson in Romantics. The tour which has simply been named the “A Lesson in Romantics Tenth Anniversary Tour” will kick off on March 23 at the House of Blues in New Orleans and wrap up two and a half months later on May 26 in their home state of Florida at the House of Blues in Orlando. The tour schedule will also include their show at So What?! Music Festival in late March. Hitting the road alongside the five-piece for the full trek will be Knuckle Puck and Milestones. VIP tickets are currently available on the band’s website while general admission tickets will go on sale beginning this Friday, Dec. 9 at 10 a.m. local time. A Lesson in Romantics was released in July of 2007 and features hits like “Jaime All Over,” “Black Cat,” “Miserable at Best,” and “Jersey.” Earlier this year, Mayday Parade embarked on another anniversary tour, this time celebrating the anniversary of their Tales Told by Dead Friends EP. In 2015, the band released a retrospective documentary titled Three Cheers for Ten Years which chronicled the history of the band and followed them as they embarked on a new chapter for the band. This entry was posted in Music News and tagged A Lesson in Romantics, Knuckle Puck, Mayday Parade, Milestones, music, music news. Bookmark the permalink. Instead of premiering the song themselves, like they did with the first two singles, the Illinois group decided to get a little help from their friends from across the pond at RockSound. “Pretense” will join previously released tracks “Disdain” and “True Contrite” on Copacetic. Copacetic is slated to hit stores on July 31 through Rise Records. Pre-orders for the record are currently ongoing on their website. 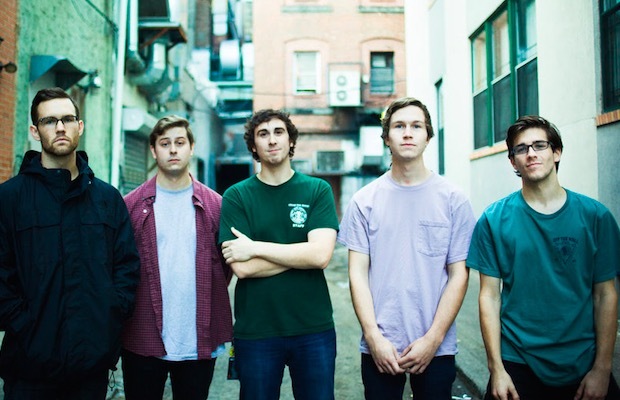 In support of the new album, Knuckle Puck is currently in the middle of the 2015 Vans Warped Tour. If you haven’t seen them, then you should, just keep an eye on their Instagram page because they like to post dummy-proof photos of where they’re merchandise tent is every stop. It’s kind of funny. 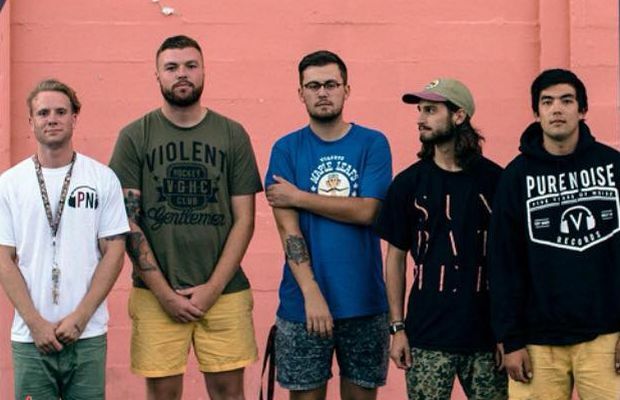 This entry was posted in Music News, Streaming and tagged "Pretense", "True Contrite", Copacetic, debut, debut album, Disdain, Knuckle Puck, music, music news, Rise Records. Bookmark the permalink. While talking to Alternative Press guitarist Kevin Maida had nothing but good things to say about director Max Moore and how his attention to detail worked well for the band. “Disdain” will be featured on Copacetic which is set to be released on July 31 through Rise Records. In support of the impending release, the Illinois band will be performing on the Vans Warped Tour this Summer. This entry was posted in Music News, Music Videos and tagged BandCamp, Copacetic, debut, debut album, Disdain, Knuckle Puck, music, music news, music video, Rise Records. Bookmark the permalink. 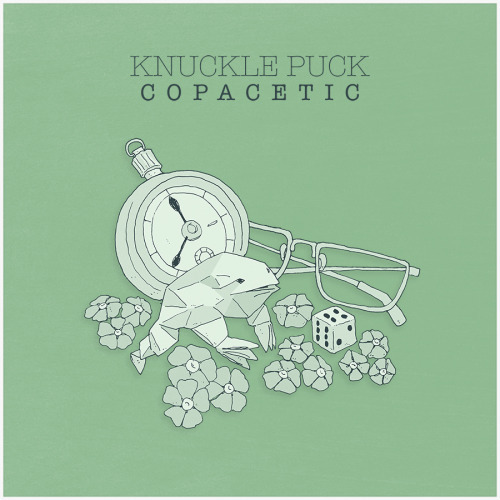 Knuckle Puck announced last week they were putting their complete discography up for grabs at Bandcamp for free with the only catch being fans would need to download the music before today (June 11). Turns out they had a good reason for giving fans that deadline of today; they had some big news to share. The Illinois band have announced that they will officially be releasing their debut album this Summer. The record will be titled Copacetic and is slated to hit stores on July 31 through Rise Records. Pre-orders for the record will begin will begin next Friday, June 19, the same day they will release a brand new song from the full-length. For now, check out the cover art and track list for the impending released below. 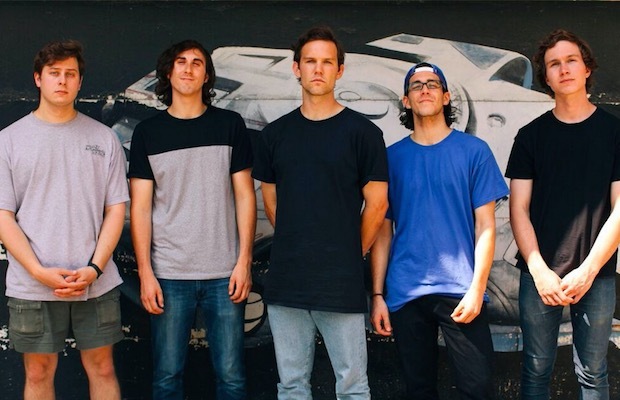 Knuckle Puck will be hitting the road this Summer as one of the many bands on this year’s trek of the Vans Warped Tour. This entry was posted in Music News and tagged BandCamp, Copacetic, debut, debut album, Knuckle Puck, music, music news, Rise Records. Bookmark the permalink. It’s not even Christmas and the guys from Knuckle Puck are giving their fans a massive gift to be grateful for. The Illinois-based band announced last night on all their social media accounts that they would be giving away their complete discography for free on Bandcamp. For those interested in obtaining all the EPs the band have produced since their inception, the files need to be downloaded before Thursday, June 11. Not too much of a big deal since the weekend is right around the corner. Check out their announcement directly from Facebook below. The free music announcement comes a couple of months after the band revealed they had finished recording their full-length debut record. No official release date has been given for the impending album besides that it will be released through Rise Records. But don’t count on them being lazy and sitting around until the record hits stores. They just wrapped up a tour alongside The Maine, Real Friends, and the Technicolors (“The American Candy Tour”) last month and are slated to begin the two-month summer trek that is the 2015 Vans Warped Tour in a couple of weeks. Maybe we’ll get a title and release date for the new album during Warped? This entry was posted in Music News and tagged audio, BandCamp, downloads, EPs, free, free music, Knuckle Puck, music, music news, records. Bookmark the permalink. 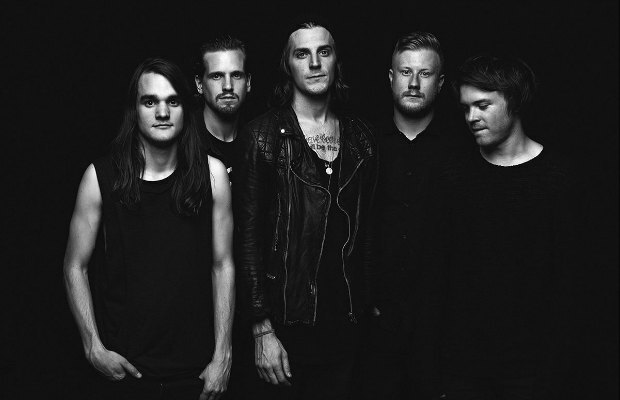 The Maine gave fans big news last month when they announced that they not only had a new album coming out sometime in 2015 titled American Candy, but that they would also be taking to the road in support of said album in the Spring alongside Real Friends, Knuckle Puck, and the Technicolors. Check out the lyric video for “English Girls” below, directly from the band. American Candy is set to be released on March 31 independently in partnership with their management team, 8123. The band did the same thing in 2013 when they released their fourth studio album, Forever Halloween. Pre-orders for the upcoming record are currently available on both the band’s website and iTunes. This entry was posted in Music News, Music Videos and tagged American Candy, American Candy Tour, English Girls, Knuckle Puck, lyric video, music, music news, music video, new song, Real Friends, The Maine, The Technicolors. Bookmark the permalink. Fearless Records is returning with the newest installation of their popular Punk Goes… collection. This time, the record label will be gifting us with Punk Goes Pop, Vol. 6. In addition to giving us the full name of the new Punk Goes…album, the label has also given us the album art, the release date, and most importantly, the tracklist of which artists will be covering which pop songs. Check out the album art and track list below and let’s wonder how Palisades are going to be able to make people stand “Happy” after the zillionth time we heard it on the radio. 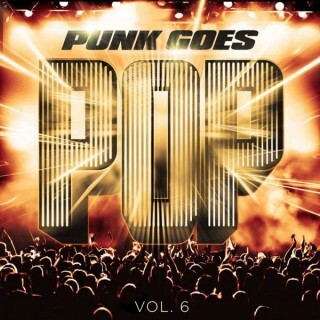 Punk Goes Pop Vol. 6 will be released on Nov. 17. Check out the official announcement from YouTuber, Jarrod Alonge. This entry was posted in Music News and tagged August Burns Red, Crown the Empire, Fearless Records, Ice T, Knuckle Puck, Luke Holland, Oceans Ate Alaska, Palisades, Punk Goes Pop, Punk Goes Pop Volume 6, Punk Goes..., Set It Off, Slaves, State Cham, Tyler Carter, Upon a Burning Body, Volume 6, Volumes, We Came As Romans, Youth In Revolt. Bookmark the permalink.